How Bad Is TV Before Age 2? You probably already know that TV isn’t considered to be “healthy” for your child’s mind. Especially not compared to, you know, reading books to them. But unless you live a pretty isolated, tech-free life (in which case, good for you!) your kids will likely be exposed to TV at some point. 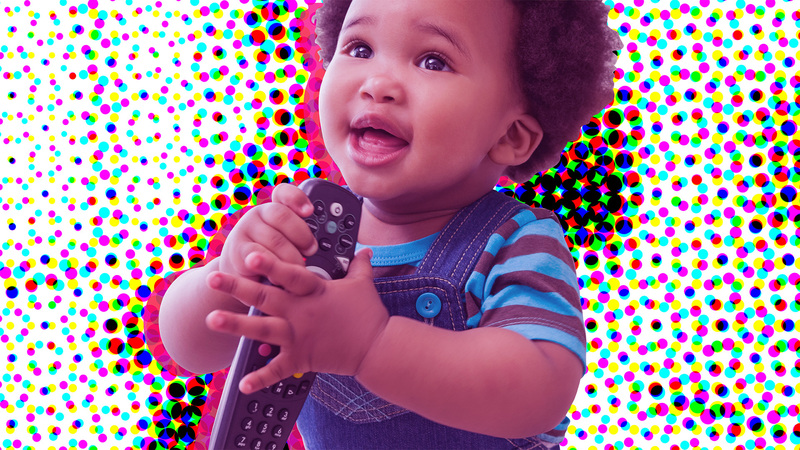 But is it really OK for very young kids — or even babies under age 2 — to watch TV? The American Academy of Pediatrics used to recommend parents keep children under the age of 2 away from all screens (yes, that includes smartphones, TVs, tablets and computers) at all times. But in 2016, they tweaked those guidelines. Now, the AAP says children under the age of 18 months should avoid all screens — with one exception: live video chats. As for kids who are 18 to 24 months, the organization says a little bit of TV is OK — as long as it’s “high quality programming.” Plus, the real caveat: Parents should watch along with their children so they can talk about the TV programming and help kids understand what they’re seeing, the AAP said in a press release. So some TV before age 2 is actually OK? Ultimately, it depends on your child’s specific age as well as how you’re using it, says Dr. Danelle Fisher,?chair of pediatrics at Providence Saint John’s Health Center in Santa Monica, California. “The images move very quickly on a screen — a lot more quickly than the brain is used to processing at a young age,” Fisher explains, adding that data suggest children under 2 learn more from stationary objects — such as playing with toys and looking at books. “All of those images are not assaulting their brain in the way that looking at a screen can do,” she says. But completely banning screens all the time is “unrealistic… screens are everywhere,” says Dr. Gene Beresin, director The Clay Center for Young Healthy Minds at Massachusetts General Hospital and a professor of psychiatry at Harvard Medical School. Instead, Beresin recommends parents watch TV with their children and gauge their reactions. Some kids may get overstimulated, aggressive or anxious, and it’s important for parents to be there to know when their child isn’t responding well to what they’re seeing. Parents should also engage with their child when they’re watching TV together, pointing out colors and objects they see. “Making it an engaging, interactive experience is really incredibly valuable, and that’s a positive use of the screen rather than leaving the child in front of the screen,” Beresin says. But the experts agree: If you can, it’s really best to keep your young children away from the TV. It’s not a huge deal if they happen to catch a few minutes of what their older sibling is watching here and there, Fisher explains, but ideally, their exposure is limited. Ultimately, just be aware and do your best — and when you’re with your toddler, screen or no screen, be present. “Try to be conscientious of it and follow TV up with some non-screen-time,” Fisher suggests. Might we suggest some favorite books for reading with toddlers?